Eric Hilton (Thievery Corporation) teams up with The Archives founder Darryl “Trane” Burke to co-produce a reggae tribute celebrating the works of the late great poet and musician Gil Scott-Heron and collaborator Brian Jackson. The album, to be released on Hilton's new record label Montserrat House, celebrates Scott-Heron’s Jamaican heritage; his father Gilbert Heron was a famous Jamaican footballer, and the first Black player in the Celtic league in Scotland. The tribute also highlights Scott-Heron’s still-relevant reflections on social justice and change. “Like Gil’s compositions, reggae contains elements of jazz and soul,“ says Hilton. 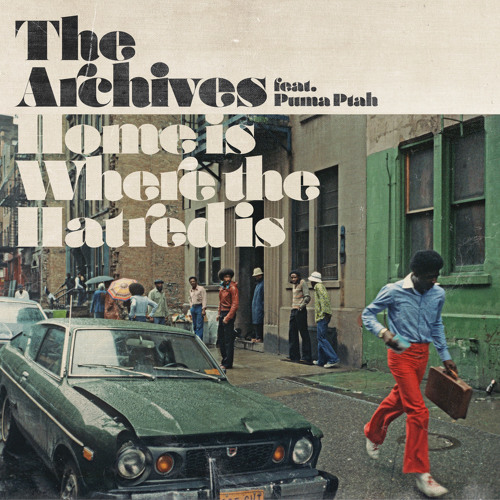 “It’s the perfect backdrop to Gil’s revolutionary pan-Africanist lyrics.” The first single and video, “Home Is Where The Hatred Is,” features singer Puma Ptah, who hails from St. Thomas, U.S. Virgin Islands and tours and records with Thievery's live band. The track will be released on what would have been Gil’s 70th birthday on April 1, 2019. It will be followed by a new song every month, with the full album dropping exclusively on vinyl and digital platforms at the year's end. Other featured artists include: Jamaican dub poet Mutabaruka; R&B soul singer Raheem Devaughn; percussionist Larry MacDonald, a member of Scott-Heron's band Amnesia Express; Addis Pablo and Kenyatta Hill, offspring of reggae legends Augustus Pablo and Joseph Hill (Culture), respectively; Mustafa Akbar; and a special guest appearance by the one and only Brian Jackson.